I have been using this product for week and tested with several phones and computers. As long as they support display out using USB-C then they worked without any issues. The adaptor is very small and portable, about the same length of my phone. 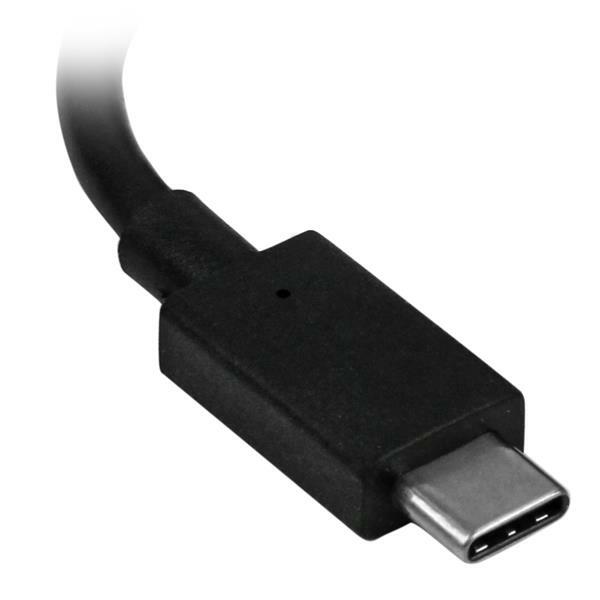 It is made of plastic with a nice shiny finish on the HDMI end and soft plastic cord for the USB-C end. It came in a zip lock bag that most StarTech products come in without any instructions. 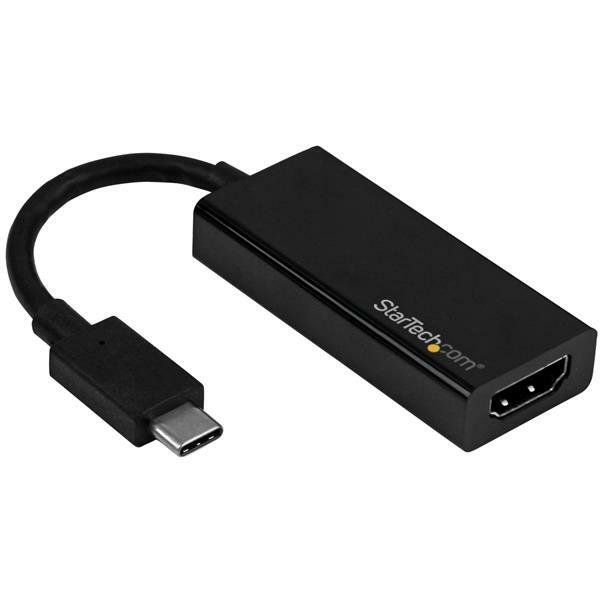 From the package I didn't know that it would only work with DisplayPort over USB-C devices until I connected to a Google Pixel phone and investigated why it wasn't working. It did work successfully with a Galaxy S8 and several laptops with USB-C built-in. Once connected the display started working within seconds. 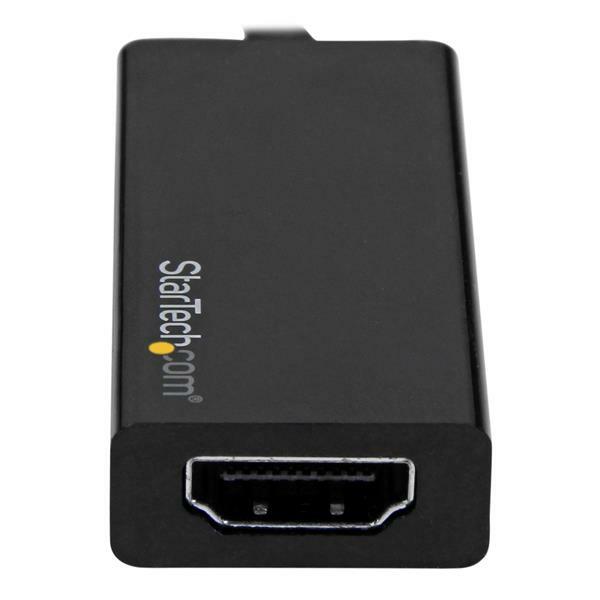 This is a great small travel adaptor for using HDMI over USB-C, as long as your device supports the display out over USB-C. I will surly bring this whenever I travel with a supported device. I received this product in exchange for an unbiased review. 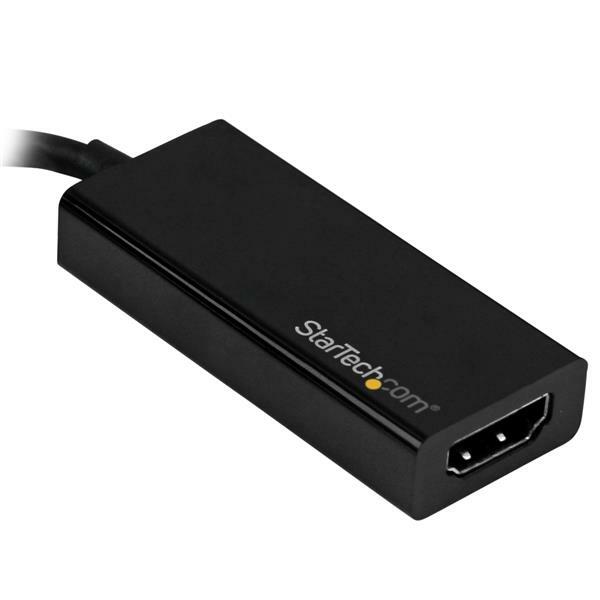 I have both Startech USB-C to HDMI and USB-C to DP adapters, only the HMDI adapter doesn't handle hotplugging well, either I see screen tearing on my Dell U2414H only on the HDMI adapter. Hotplugging doesn't always work, i.e. the display is not detected. We're very sorry to hear you ran into some issues with our adapters. For best results, we recommend making sure that your computer has all of the latest updates from the manufacturer. We've also recently released a new firmware for our CDP2HD4K60 that helps resolve some hotplug detection issues, so we recommend applying it. If issues persist, please contact us directly for further assistance.